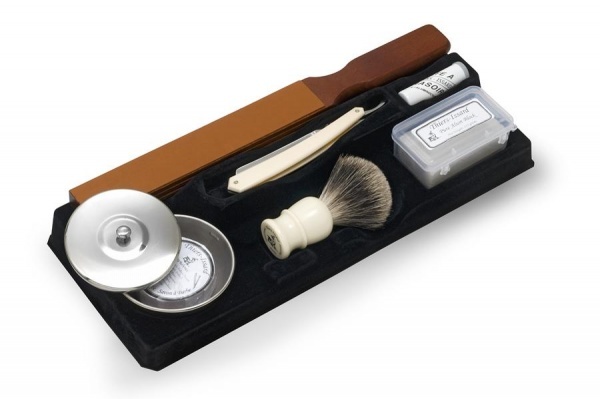 Thiers-Issard Sabatier crafts the complete shaving kit for the complete man. Aimed for the alpha male who takes his shaving seriously , its high quality straight razor, white scale, luxury paddle strop, shaving brush, and stainless-steel bowl with soap puck will give you a shave so close, most men can only dream of it. This entry was posted in Accessories, Facial Hair, Razors, Shaving. Bookmark the permalink.